Sweeping terraces and balconies that dance up and down the building. A gentle valley between two offset towers. It reads like a scene from a novel, but it is actually the design of what promises to become an iconic landmark of the Toronto skyline. 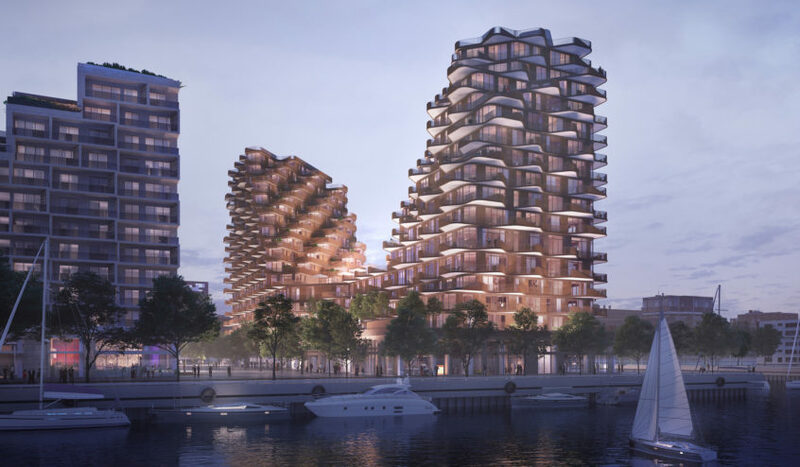 Envisioned by the award winning architects of 3XN, Aqualuna at Bayside features architecture inspired by it’s enviable location on the Toronto Waterfront, balanced by thoughtful design meant to maximize outdoor and indoor living spaces. Learn more about the stunning design and the residences of Aqualuna at Bayside. With two peaks, shifted slightly away apart, residents are afforded sweeping views of the city skyline and Lake Ontario. A gentle dip in the middle of the building creates a valley that respects the views of neighbouring buildings, while also creating the perfect situation for outdoor living spaces. While it seems a simple idea to design a residential building for a waterfont location, Aqualuna at Bayside leans more to the ‘art’ in architecture, balancing form and function to create something we believe will be truly memorable on the city skyline.